President Duterte has unleashed his fury anew among the Americans and the Spaniards, who conquered the Philippines during their occupation in the country for over 300 years. He added no country nor other president can dictate upon the country its own foreign policy. And in a bid to address the human rights abuses under his administration’s bloody anti-drug war, Duterte again turned the tables versus the United States. “Ito namang droga I’ve been in the receiving end you know that. It could be funny to look at sometimes you ponder, I said, on how we should conduct our foreign policy you know, we could never be just a small country and to be shouted at or lectured upon by any foreign country or by any president,” he said. Duterte has allowed the release of the brutal photographs depicting the Bud Dajo massacre and other sins of the past colonizers of the Philippines. “So when were talking about human rights I authorized the release of all the pictures of the horror the Philippines absuffered under Spaniards and the Americans and for the years we sat on this country and took care, got it all the fat of the land for so many years. 300 years,” he said. 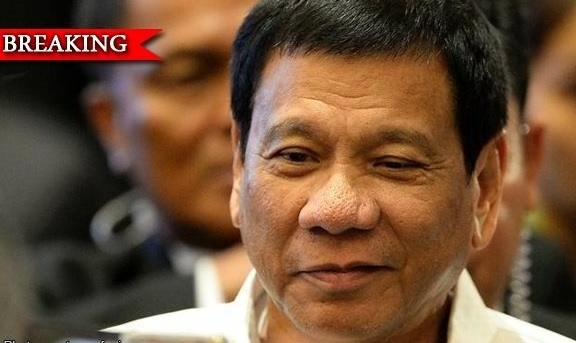 Duterte said he cannot allow any foreign leader to challenge his policies under his administration. “I said to myself early on this cannot continue I would have to address if it’s human rights, problems then we have to discuss the entire gamut and dimension,” he added. On his approval, Duterte said the social media will be bombarded by the historical photographs to remind the youth about the Philippines history. “Andyan ngayon sa Facebook yung massacre everywhere Balalinga, sa Samar that was a time that 10 years old and above were massacred by the Americians. They got the bell until now they hijacked it stole it never returned it to us itsthe sentimental value attached,” he recalled. “It’s the massacre that happened to Filipinos in Samar… take and note about that in the chapters of history,” the President said.